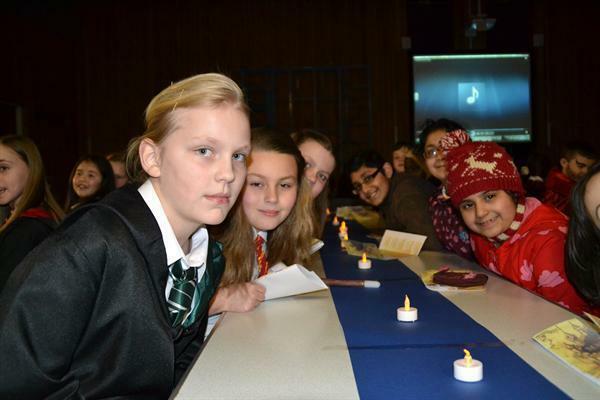 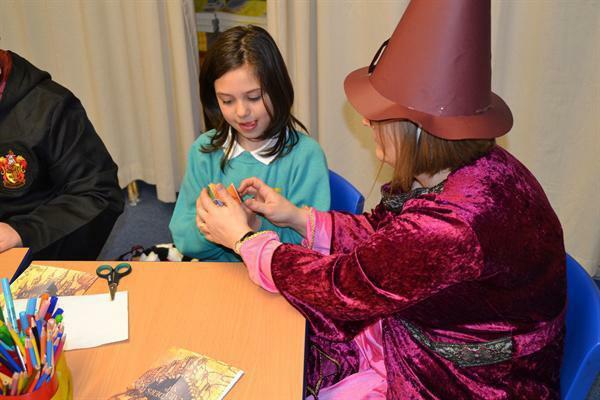 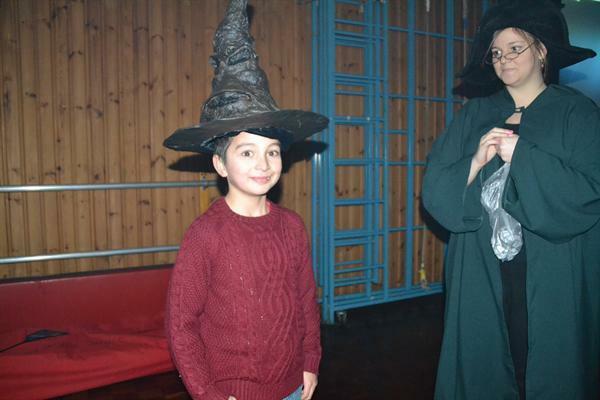 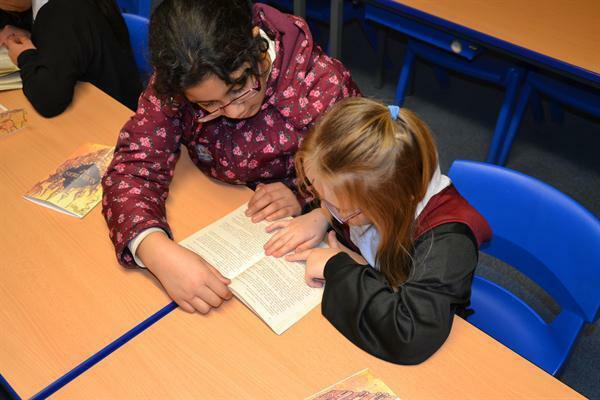 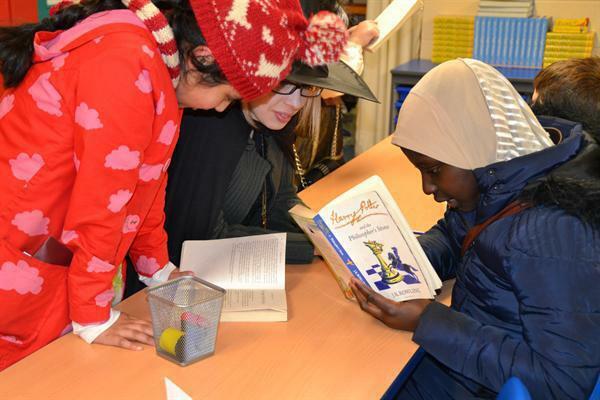 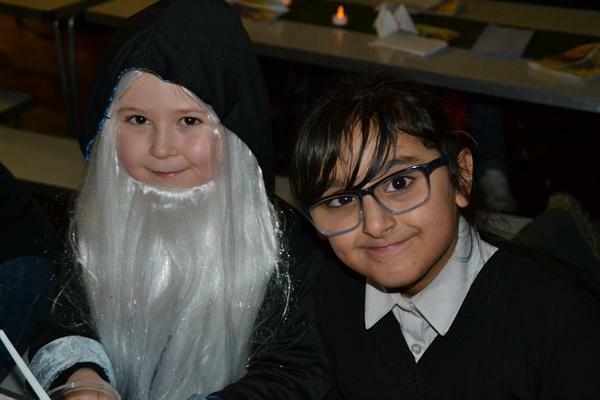 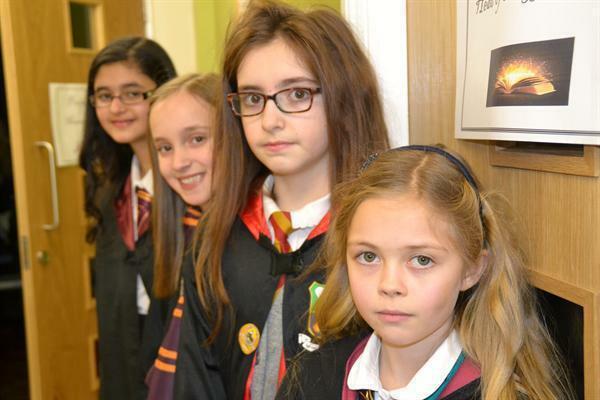 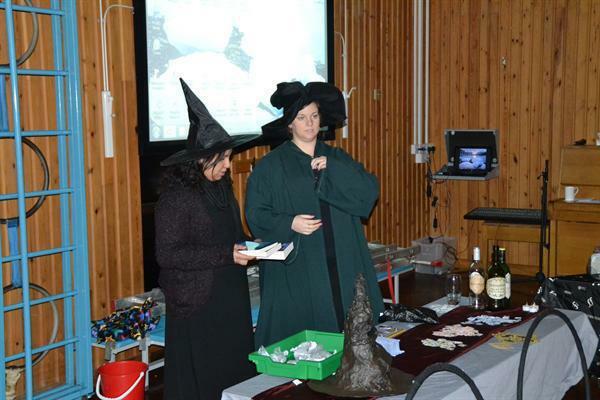 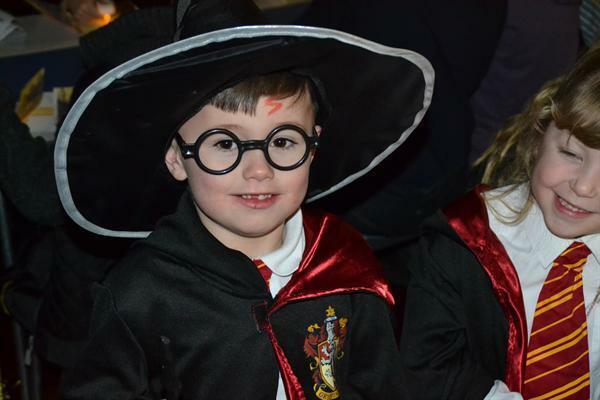 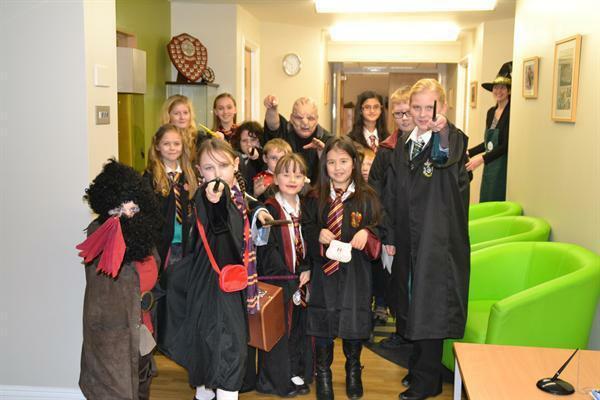 The children had the chance to buy tickets to the Bloomsbury Harry Potter Book Event at Greenhill Primary school. 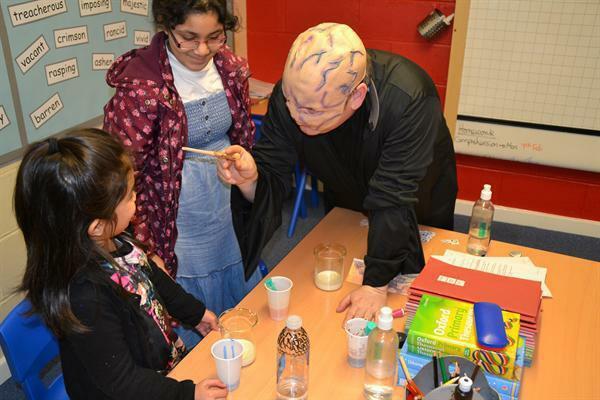 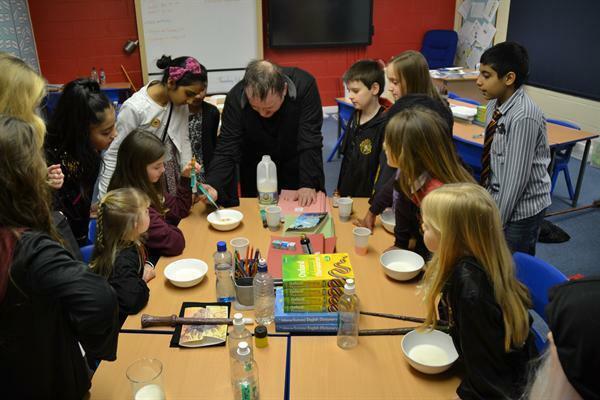 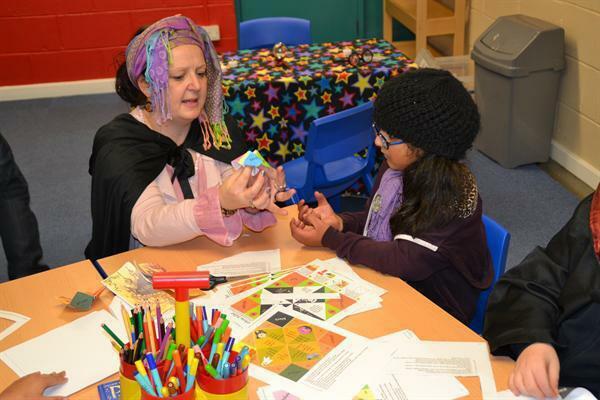 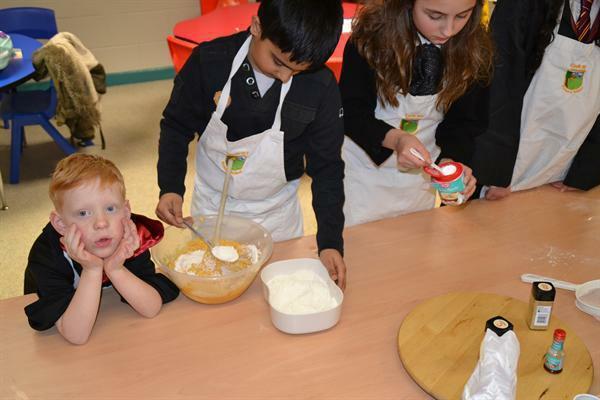 Then they chose two activities from a list including: potion making, quizzing, divination, wand making, cooking and dramatic reading. 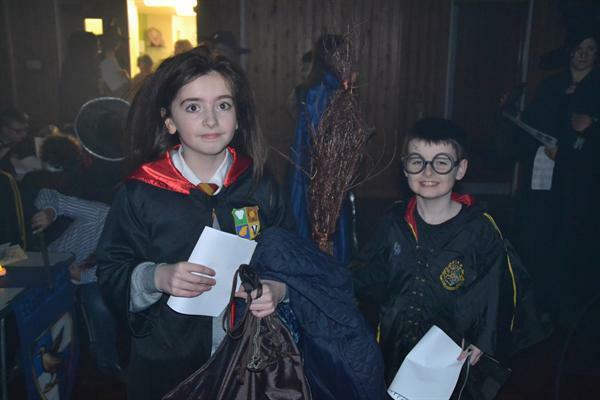 Children came dressed as wizards and muggles. 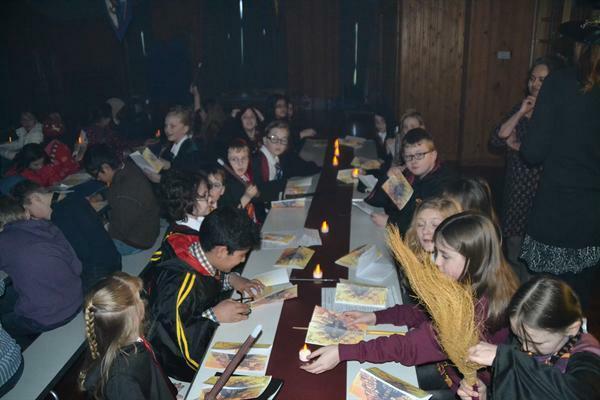 When they arrived, they were sorted into the different houses in the sorting ceremony. 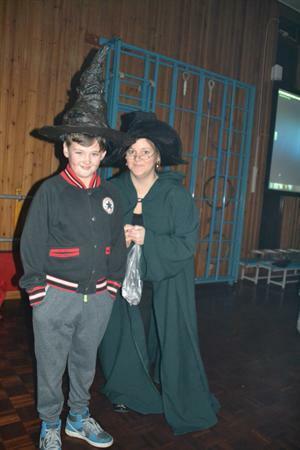 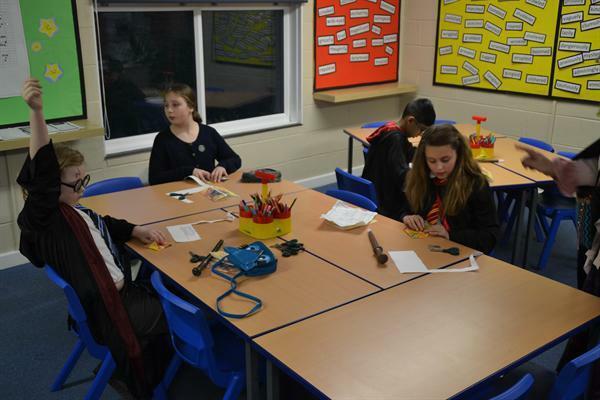 They could then earn house points throughout the evening for outstanding effort and achievement. 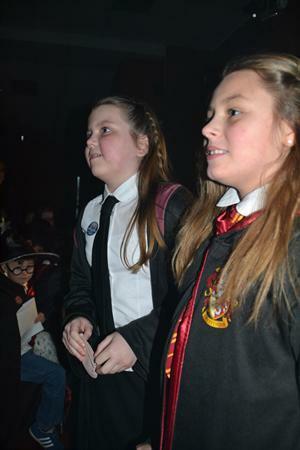 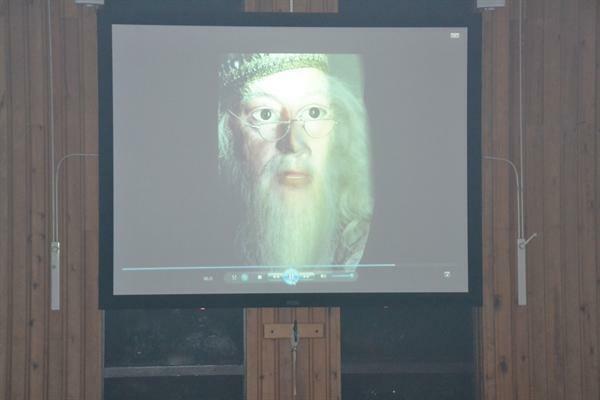 Children then received a message from Professor Dumbledore before going to their first event. 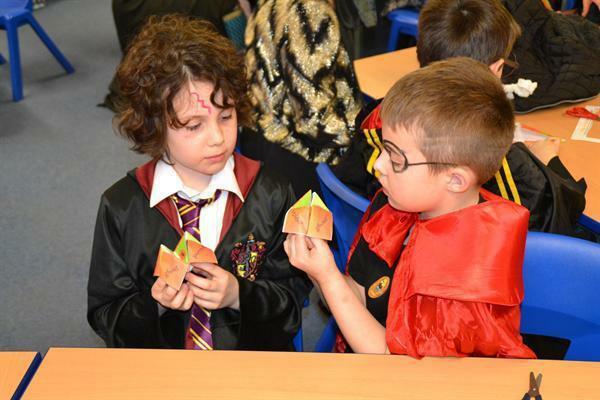 The children then had a refreshment break where they could buy butter beer, popping frogs and jellied bugs. 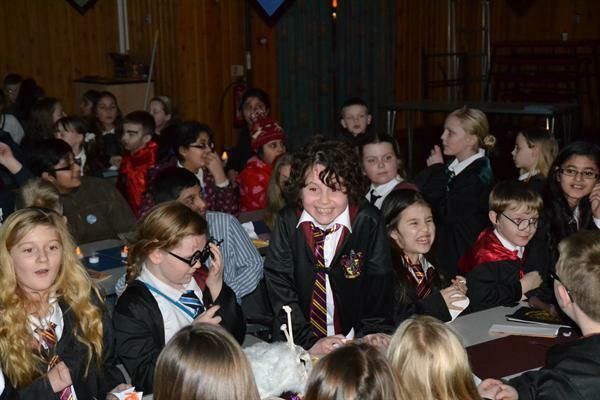 Following their second event they returned to the main hall where the house point winners were announced. 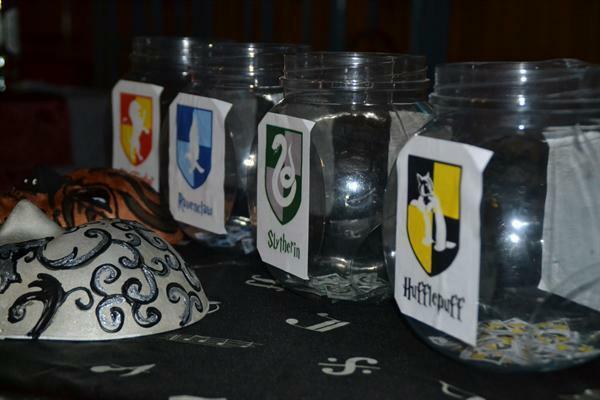 The winning house received gifts. 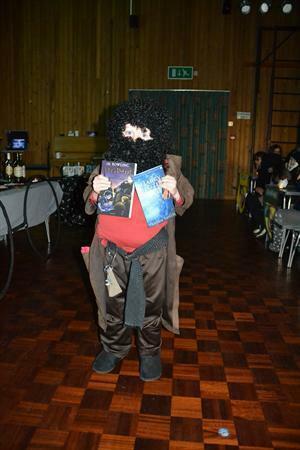 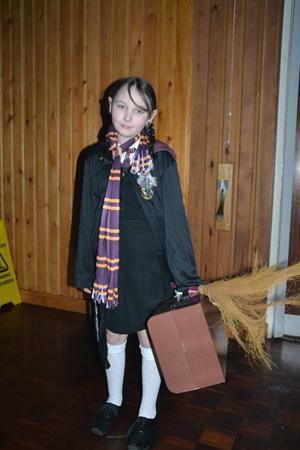 The fancy dress winners were then announced and they received a brand new Harry Potter book. 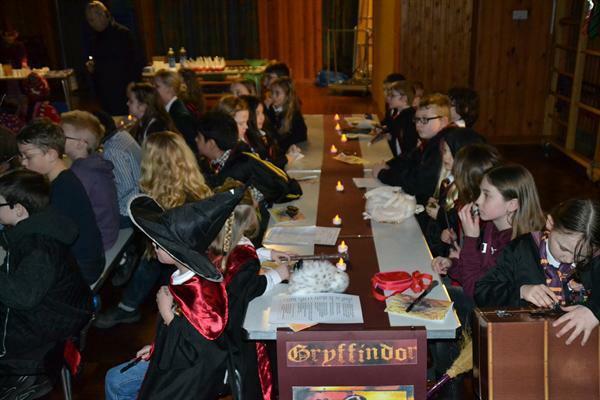 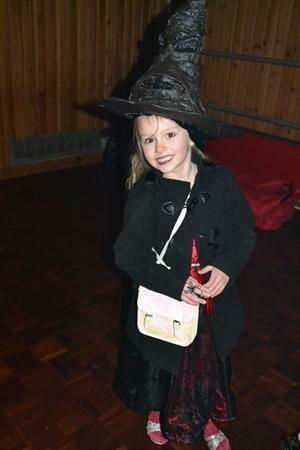 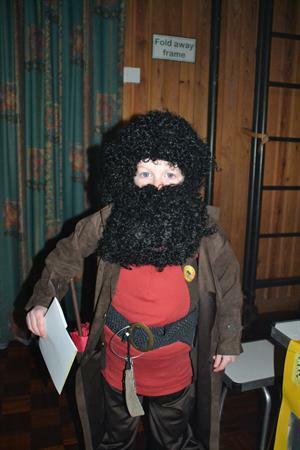 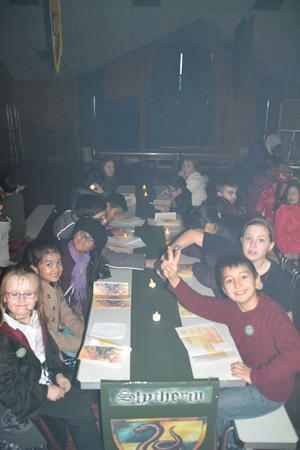 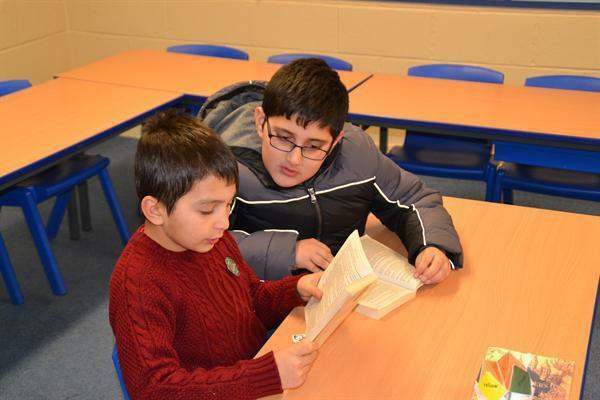 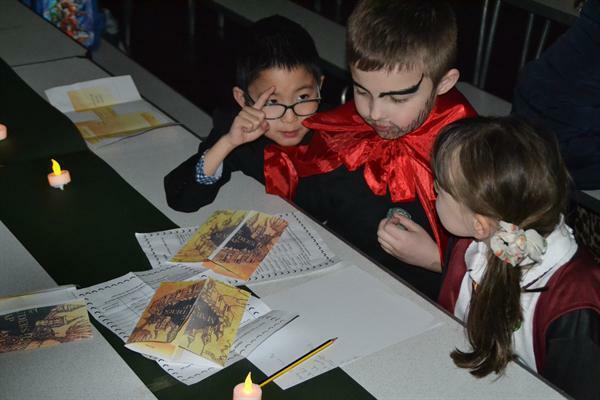 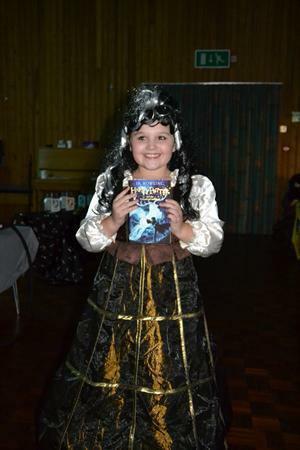 Every child thoroughly enjoyed their evening and they are looking forward to the next book themed evening.